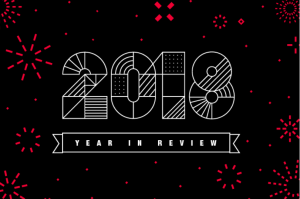 As 2018 comes to an end, let us take a moment to reflect on all the accomplishments of Keller Williams throughout this historic year. Thank you, everyone, who have been a part of the team and for giving us your determination, compassion, and intent to serve the greater purpose of our business. CareerBliss named Keller Williams as the Happiest Company to work for in 2018. Click here to read. Indeed ranked Keller Williams as the number one company for employee work-life balance. Click here to read. Gary Keller ranked No.1 on the Swanepoel Power 200 (SP200) list of the most Powerful People in Residential Real Estate. Read here for more information. Training magazine inducted Keller Williams into the Training Top 10 Hall of Fame. Read here. Kelle, our AI virtual assistant, made its debut along with Referrals at Family Reunion 2018. Details here. Keller Williams partners with Nextdoor for data insights to empower agents. Read more. Keller Williams led the way on the REAL Trends 500 more than any other brokerage with 161 brokerages ranked by volume this year. Read more. Keller Williams had 324 firms ranked on RISMedia’s Power Broker – The Top 1,000, representing 916,864 transactions and $272.3 billion in volume. Read here. Attended four live streams on KWConnect and set new CGI Goals through Kelle. Keller Williams ranked No. 2 on the CareerBliss 50 Happiest Companies in America for 2019 with a CEO approval rating of 94 percent. This has been a great year! It’s hard to believe that all of these accomplishments happened in just 12 months. And, while you have achieved so much already, you are just getting started! Well done, Keller Williams family! If YOU would like to be a part of this amazing, forward thinking company…please reach out. We would love to chat with you!